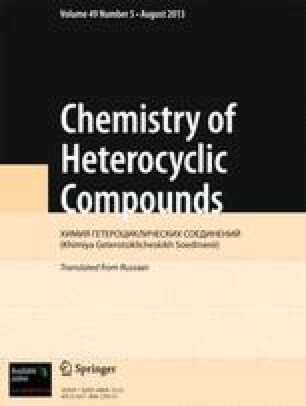 1-Halomethyl-3-arylbenzo[f]quinoline derivatives were obtained by condensation of Schiff bases with α-halo ketones. Translated from Khimiya Geterotsiklicheskikh Soedinenii, No. 6, pp. 811–813, June, 1975.